Congratulations on your engagement! Once you’ve enjoyed the moment, it’s time to start planning for the big day. At the top of your to-do list is finding the perfect wedding gown. With so many designers and looks to choose from, the task is met with a mix of joy and anxiety. 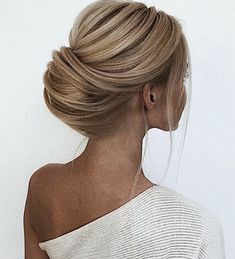 One thing is for sure though: you want to find a frock that makes you feel beautiful and is a true expression of your style and personality. We spend a lot of time with our brides. While conversations focus on flowers, we love to hear about a bride’s dress, where she got it, and how she knew it was the one for her. We’ve gleaned a lot of insight over the years and thought it would be fun to put together a guide to Bride & Blossom’s favorite bridal shops in New York City. Get inspired by the bright summer sun by giving your wedding ceremony a colorful twist! At Bride & Blossom, we welcome the opportunity to play with color, especially in designing our ceremony chuppahs and arches. We enjoy thinking outside the box to create unique works of art that represent our couples. Whether flowers create an ombré effect or a “pop” of color, your ceremony will be sure to impress your guests and create the perfect backdrop for your special day. Our lovely bride at Tribeca Rooftop was ecstatic to see her purple ombré vision come to life for her outdoor ceremony in August. Nicole married her best friend Mark under a canopy of vibrant purples and lush creams. 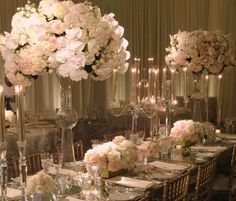 We used varying shades of roses, carnations, and hydrangea to create this beautiful color palette. One of the best parts of working with Bride & Blossom is having the opportunity to hear the amazing love stories of our brides. Liza and Jesse’s story is no exception! 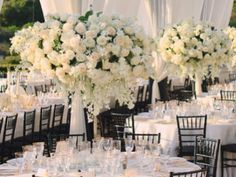 We think she’s pretty lucky too, especially helping to create a classic ambiance for her traditional wedding at The Ritz-Carlton New York, Battery Park. Liza went with a clean, simple color palette in shades of white and ivory with blush accents that popped against the dominant neutrals she chose. 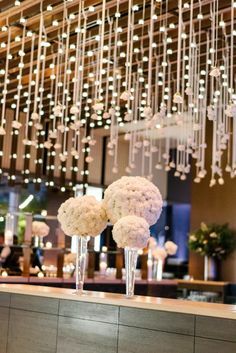 With a show-stopping venue like The Ritz-Carlton, she knew better than to overdo it on décor, and let the setting add to the classy, romantic mood. When we think of the phrase “dream wedding” in the Bride & Blossom studio, we don’t mean a high-maintenance affair with pounds of tulle and a cavalcade of stretch limos. For us, a dream wedding is one where the couple’s unique love story shines through anything, even a rainy day in Manhattan. The Reinecke wedding was the kind we dream about. These Boston College sweethearts held their wedding at Battery Gardens, accompanied by the mellow vibes of the Clark Eno Orchestra. The bride wore Kate Spade shoes for the ceremony and reception, but had no problem slipping into Hunter boots when the weather turned wet. From champagne with her bridesmaids until the moment she said “I do,” bride Kristen McEvitt was the perfect image of a princess.